Alexander Sueiro is a founding member of PAAST, P.L. 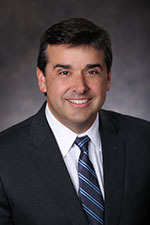 He has over 25 years of experience providing assurance, business consulting, and forensic accounting and litigation support services to a diverse client base in a variety of industries. Alex specializes in internal and external audits, and reviews of financial institutions. He has managed a variety of engagements, including loan portfolio reviews, bank-wide risk assessments, Bank Secrecy Act/Anti-Money Laundering audits, Federal Deposit Insurance Corporation Improvement Act audits, compliance audits, and information technology audits. In addition, he has experience testing beta versions of bank software programs. Alex is an adjunct accounting professor at Florida International University (FIU). He has lectured at the Florida Institute of Certified Public Accountants (FICPA) Miami Dade Chapter, the Association of Cuban Accountants in Exile, University of Miami, and FIU. Regarded as an expert in his field, he is frequently invited to speak to certified public accountants (CPA) and banking professionals on topics such as external and internal audits, as well as other operational reviews. Alex stays current with topics relating to public accounting and financial institutions by frequently attending local, state and national training seminars and conferences provided by the American Institute of Certified Public Accountants (AICPA); Florida Institute of Certified Public Accountants, Financial Managers Society; Office of the Comptroller of the Currency; Florida Bankers Association; Florida International Bankers Association; South Florida Banking Institute; and Certified Fraud Examiners. He also participates in the annual Deposit and Lending Compliance Seminar hosted by PAAST. Prior to co-founding the firm, Alex was a senior manager at a regional accounting firm. He was in charge of the firm’s financial institution practice, and was responsible for managing and reviewing compliance audits, internal audits and external audits.